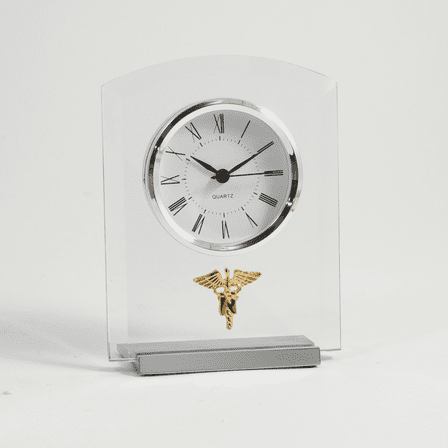 FEATURES/SPECS Made just for the wonderful men and women in the nursing profession, this unique glass and metal desk clock is the perfect way to thank them for the care and service they provide. 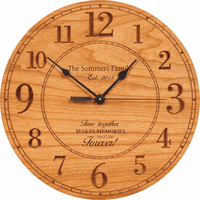 It features a large quartz clock, complete with white dial and black markings, set in a glass casing. The glass pane is mounted on a brushed silver base. Between the base and the clock, bonded to the glass, is a polished brass nursing emblem. 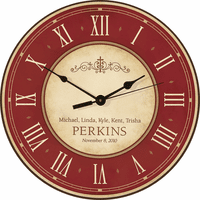 Ideal as a birthday or promotion gift, this nursing theme clock will remind a caretaker in your life just how special they are.